It’s Sunday, December 2, 2018, and National Fritters Day. Among American fritters, two types stand out: apple and corn. It’s also World Computer Literacy Day, and I’ll confess now that I cannot write programs, and in fact never produced a single line of code in my life. But I can use a Mac! On December 2, 1697, St Paul’s Cathedral, Christopher Wren’s masterpiece, was consecrated in London. On this day in 1763, the Touro Synagogue in Newport, Rhode Island, was dedicated; it is still used and remains the oldest surviving synagogue in North America. More churchy stuff: on this day in 1804, Napoleon Bonaparte crowned himself Emperor of the French in Paris’s Notre Dame cathedral. On this day in 1859, abolitionist John Brown was hanged in Charlestown, Virginia after his raid on Harper’s Ferry in October. 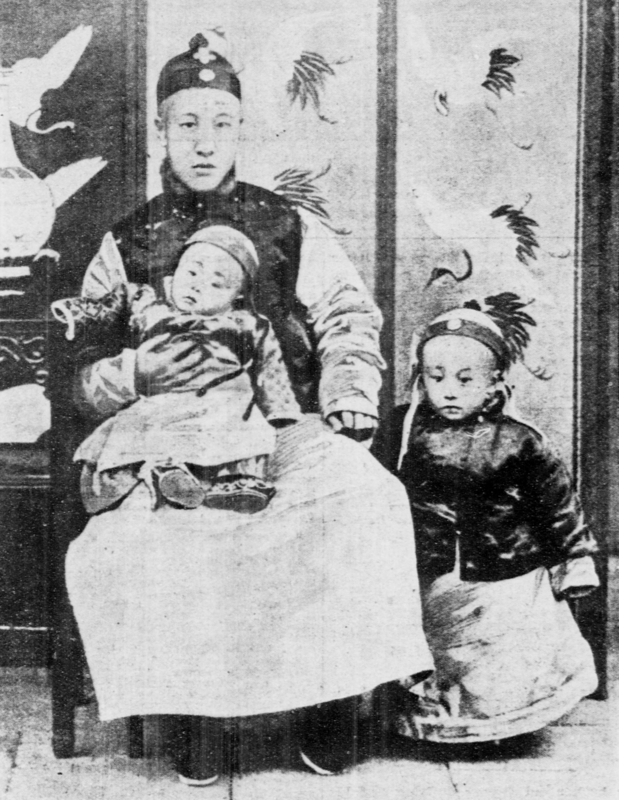 And on December 2, 1908, Pu Yi became Emperor of China at the age of two. He was the Last Emperor, and ruled only until 1912, holding a variety of positions until he died in 1967, including a stint in prison. His life is documented in Bertolucci’s film The Last Emperor, which happens to be on YouTube in its entirety. On this day in 1942, Enrico Fermi’s team at the University of Chicago, about a block from where I sit right now, conducted the first artificial and self-sustaining nuclear reaction in the famous Chicago Pile-1. Exactly 14 years later, on a yacht named the Granma, Fidel Castro, Che Guevara, and 80 other revolutionaries surreptitiously landed in Cuba to overthrow the Batista regime. Batista’s soldiers were waiting and nearly destroyed the landing party. A few survived in the hills and jungles, and the rest is history. The yacht is on display in Havana. On December 2, 1982, Barney Clark became the first person to receive a permanent artificial heart, implanted at the University of Utah. Clark lived for 112 days before dying. On this day 30 years ago, Benazir Bhutto became the Prime Minister of Pakistan, the first woman to lead the government of an Islam-majority state. Finally, it was on this day in 1993 that drug kingpin Pablo Escobar was shot and killed in Medellín, Colombia. Notables born on this day include Georges Seurat (1859), Maria Callas (1923, died at just 54), Giannia Versace (1946) and Lucy Liu (1968). Those who died on December 2 include Hernán Cortés (1547), Garardus Mercator (1594), Marquis de Sade (1814), John Brown (1859; see above), Desi Arnaz (1986), Aaron Copland (1990), Pablo Escobar (1993; see above), Charlie Byrd (1925), and Odetta (2008). A: What do you see? Tweets from Grania. Look at this lovely ammonite in pyrite! Is this really so erroneous? We checked in with Kvist about this more recent encounter, and he confirmed that the ribbon worm in the video was in very bad shape. “My best guess is that the worm is dying and that’s why it’s breaking apart,” he explained. There isn’t much information about where the sighting was filmed, but we suspect that the worm belongs to the genus Gorgonorhynchus. Out of the 1,000 or more known species of ribbon worms, only a handful possess a branching proboscis like this one. The fleshy tube is an infolding of the body wall that can evert like the finger of a rubber glove – and if you watch the footage closely, you’ll notice that the worm actually discards it. View this #photo of a #Hanukkah #Menorah from the Posner home in Kiel, Germany, 1932. It is pictured against the backdrop of the #Nazi flags flying from the building across the street. Well, this photo doesn’t rule out that insects have six legs, as the beetle is simply a developmental anomaly. Maybe I don’t get it, but I find this über annoying rather than joyous. 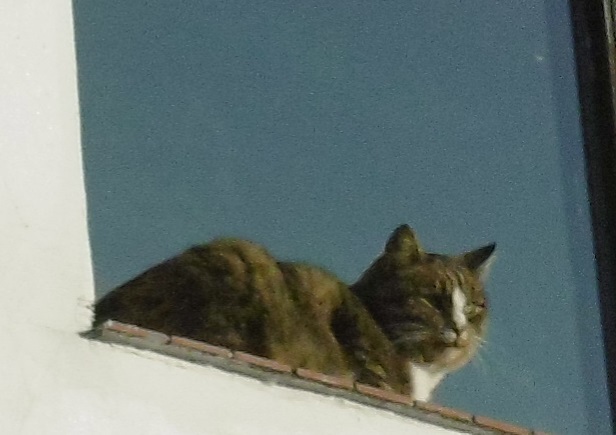 This entry was written by whyevolutionistrue and posted on December 2, 2018 at 6:30 am and filed under Hili Dialogue. Bookmark the permalink. Follow any comments here with the RSS feed for this post. Both comments and trackbacks are currently closed. Typo: Charlie Byrd died in 1999. He was born in 1925, but on 16 September. Great concert, along with Charlie you also had Tal Farlow and Herb Ellis on guitar. Among American fritters, two types stand out: apple and corn. Down here in the Florida Keys, we’re pretty fond of our conch fritters. Conch fritters were the only edible cooked food I found when my parents took us to the Bahamas for vacation as a teen (on one of those timeshare schemes). Now for a nice change, try a pineapple fritter instead of the plain old (but admirable) apple fritter, if you can find one. My go-to donut shop near Kc Mo, Oz’s Mac Donuts closed a couple of years ago and I haven’t had a decent fritter since! And to think, they were replaced by yet another pizza place. Oh the humanity! I enjoy a good apple fritter but they’re hard to find. Only see these syrupy monstrosities at most donut shops. I used to get a good one at The Donuttery in Huntington Beach when I was in my 20s. Recently went back and they had been sold and their apple fritter was as bad as all the rest. So sad! Why all the tears over unavailability of your favorite fritter recipe? Can’t you make them yourselves? It can’t be rocket science. I am sure I could but it takes a lot of time for something I would only eat occasionally. But I will stop whining now. Perhaps you could prepare a batch right up to the baking, then individually wrap and freeze them so you can indulge whenever you want? A quick check reveals that yes you can, but I see that they’re fully cooked, then frozen. Think I’ll try that. Why would you want some stranger getting his fingers into your batter? What’s the fun in that? And for “Puyi” & “eunuchs” please substitute Trump & Republican Legislators. I’d like to see the moribund pink worm squeezed in there somewhere. I believe that’s why Stormy Daniels was paid to keep quiet. I looked and did not find the joy in the clip. I’m surprised that there wasn’t more laughter from the audience. The kid will probably be a famous hard rock star in the future. That Byrd video was just lovely. Made my morning. Thank you. Now excuse me while I go down a classical guitar rabbit hole on Youtube. And while we’re talking music, I’d like to take this moment to promote the very little-known Adrian Legg. The link you posted to an apparently "complete" YouTube posting of "The Last Emperor" is half an hour too short. That cat adapted to her deaf staff well.